Want to try Spain’s most famous dish, but not sure how to prepare it? We’ve got a delicious sheet pan Spanish Paella recipe that’s easy enough to make for a mid-week family meal, yet elegant enough for your upscale dinner parties! Read on to check it out! Fun fact about Paella: chefs can’t really come to an agreement about exactly what ingredients do and don’t belong in this famous Spanish one-pan recipe. Once upon a time, as Saveur explains, it was actually made with rabbit, chicken and snails! Today, chefs lean more towards seafood as the meat of choice in their recipes, using everything from lobster to shrimp. Our recipe uses the latter, but you can feel free to experiment with other types of seafood and meats. Let’s see how to make it! Don’t forget to print out the recipe card for later! Can you grow your own saffron? Are there any Saffron substitutes? Have you ever made Spanish Paella? What do you put in your recipe? Tell us below! Preheat the oven to 400 degrees F. Using a large 13 X 18 inch rimmed sheet pan . Spray a non-stick baking spray and evenly coat the pan. Chop your onion, bell pepper and set to the side. Add the onion, pepper, garlic, bay leaves, lemon zest, paprika, saffron, and crushed red pepper to your baking pan. Place the pan in the oven and roast the veggies and spices for 5 minutes. Now add your chorizo and shrimp to the pan. Toss to mix with the onion, pepper mix. Push the shrimp and chorizo the the edges of the pan leaving a open space in the center for the rice. Pour the jasmine rice in center of the sheet pan. Now add the chicken broth on top of the rice. Place the pan back in the oven for 8 minutes. Take the pan out of the oven set to the side. Lightly toss to mix the spices and shrimp mix with the rice. Preheat the oven to 400 degrees F. Using a large 13 X 18 inch rimmed sheet pan. Let’s talk saffron, since it’s such an integral ingredient in pretty much any Spanish Paella recipe. As the single most expensive ingredient in this recipe , I think it bears some conversation. 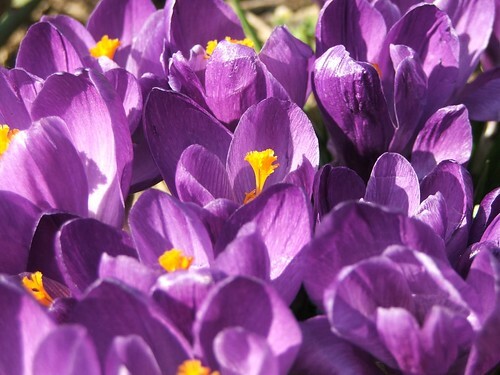 Did you know that, ounce per ounce, saffron is worth more than gold? In fact, a single ounce can cost up to $500! Why? Labor. It’s an incredibly hands-on spice that requires hours of labor to produce that single ounce. Don’t worry, though, a little goes a long way. It’s easy to find one or two grams for sale on Amazon and in specialty grocery stores that won’t completely bust your budget (think about $9-13 for two grams). Our recipe calls for one pinch of the spice. What does that mean, exactly? Well, if you want to get super duper technical, a pinch of saffron is about 20-30 threads. You don’t need to sit there and count out 20 little threads unless you really want to, just use that as an estimate of how much to use. You can also try growing your own saffron. The flowers and bulbs themselves aren’t really all that expensive. The problem? Each bulb only creates one flower, and only an itty bitty part of that flower is actually used for creating the spice. See those little yellow bits in the middle? Each of those grows a little red thread, and that’s what you use in cooking. As you can see, there are only about three of those little yellow bits, so each flower will give you three threads. You’d need to harvest about 8 of them for this recipe alone. If you have a massive garden and a lot of patience, you can definitely grow it yourself, though. My friends, I am sorry to tell you, but there nothing else tastes quite like saffron. If you’re on a tight budget and willing to give up that unique flavor, though, tumeric is the best replacement. Just use a tiny bit, though, because it’s stronger than saffron. In our Spanish Paella dish, the other flavors will carry the recipe and you won’t be losing too much by swapping out the saffron (although I definitely recommend keeping it if your budget allows). If you do decide to invest in a tin of Saffron, don’t worry, you have plenty of time to use it all up. In fact, if kept in an airtight container, it can last up to 5 years or longer without losing its flavor. A friend of mine brought back a little Saffron gift for me years ago. It was maybe a teaspoon worth. I forgot about it for like two years, then used it in a recipe. It still tasted fabulous. Remember, a very little amount goes a long way! oh, that does look easy! Definitely less intimidating than I figured paella was. Looks like a wonderful guest meal as well! I’ve always wanted to try Paella. This looks easy and doable! What a unique idea, especially if you don’t have a paella pan. You can still get all the flavors of paella which is the best part of the dish. This looks so delicious. I can say that I have never had paella. This looks so yummy! Would love to try this recipe soon. Thanks for sharing! This looks really quick and easy to make. I would love to give this a try as it looks delicious! Talk about a lovely paella recipe. I honestly thought it was originally made with seafood especially since that the most commonly used ingredient in the different paella recipes that I’ve seen and tried. Thanks for the recipe and the fun fact! I’ve never used a sheet pan for anything other than cookies. Didn’t realize you could make stuff like this on them! Oh my goodness … that paella looks awesome! I’ve only made “real” paella two or three times in my life because it’s so daunting a task. But this is manageable and looks fantastic!